Depending on the heating system, the BRICK FIRING KILN CARS can be divided into cars for top firing using the hollow sole blocks and side firing using the supports and perforate plates. KILN CARS FOR THE FIRING OF ROOFING TILES are divided into cars for firing in U-cassettes and H-cassettes depending on the used kiln furniture. TUNNEL KILNS are lined depending on the specific operating conditions including the firing temperature, kiln atmosphere and presence of corrosive components. 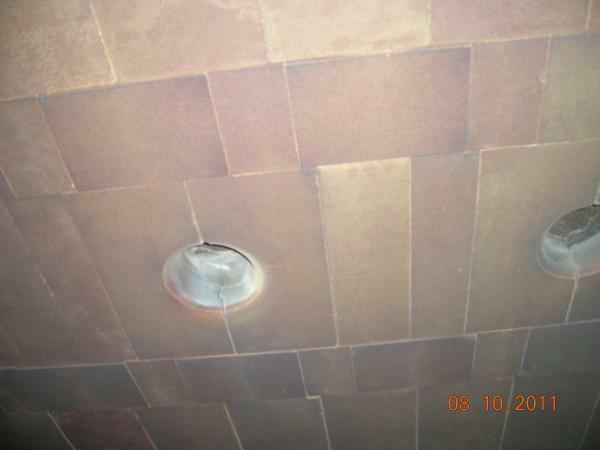 KILN WALLS are lined from standard shaped bricks or special sizes specified by the kiln unit manufacturer. 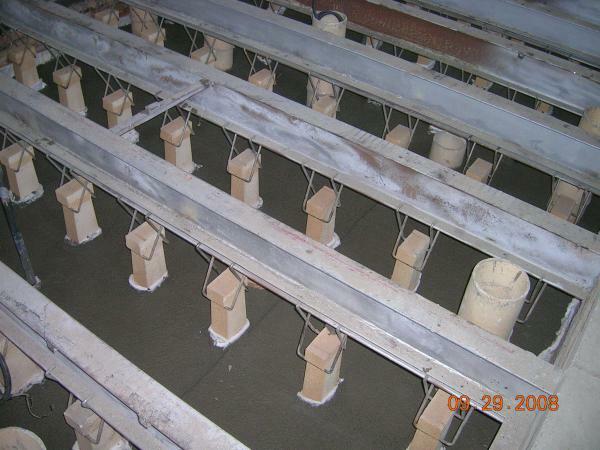 KILN SUSPENDED ROOFS are constructed from special sizes specified by the kiln unit manufacturer. They include the combination of suspended blocks and cover plates. The height of suspended blocks are given by the height of roof insulation in the range of 300 to 600 mm. The length of cover plates is given by the distance of supporting steel sections, specifically the distance of kiln top burners. KILN FURNITURE is used mainly as the carrier of the roof tiles being fired. U-cassettes are made by semi-dry pressing on the special hydraulic press and are used for firing groups of unglazed roof tiles in a vertical position. H-cassettes are made by slip casting into plaster moulds. They are so-called mono-cassettes used for roof tile firing in the horizontal position. Another range includes thin-walled slabs for firing of ceramic ware in floors and in roller kilns. 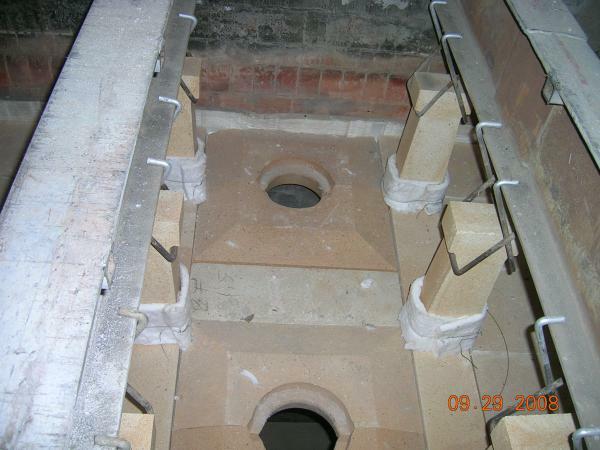 STOVES, FIREPLACES are lined using standard fireclay bricks including standard bricks, plates, wedges and slabs. FIREPLACE TYPE STOVES, FIREPLACE CARTRIDGES have the inner lining from thin-walled plates and slabs. Another area of use for our shaped bricks includes ANODE FURNACES IN THE ALUMINIUM INDUSTRY and lining for periodic kilns in the STEEL INDUSTRY.